When you need a Fort Lauderdale Accident Attorney you can trust, call Robert Gluck from the Law Offices of Robert E. Gluck, P.A. He has been a lawyer since 1989 and has the experience and resources to represent you in your case and get you the compensation you deserve. If you've been injured as a result of any sort of accident, give him a call today. An accident can be anything from an auto accident, fall on someone's property, or injury from a defective product. Your Fort Lauderdale Accident Attorney Robert Gluck will have to first prove negligence in order to move forward with your case. Negligence is the legal standard one must follow to avoid injury to others. If he can prove negligence, he will then move forward with your case and launch a full investigation into your claim. He will be sure to gather all the evidence he needs, such as finding and obtaining witness statements, securing video footage, and taking photographs of the accident scene. As your Fort Lauderdale Accident Attorney, he knows what it takes to proceed with your case. 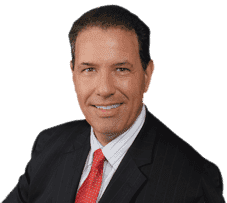 Fort Lauderdale Accident Attorney Robert Gluck cares about his clients and will go above and beyond for you. He will fight hard to make sure you get the compensation you need for your injuries and medical bills. He will be the legal voice you need during this difficult time so you can focus on healing and moving forward with your life.